Android smartphone are packed with lots of useful features, Backup and reset is one of the them. 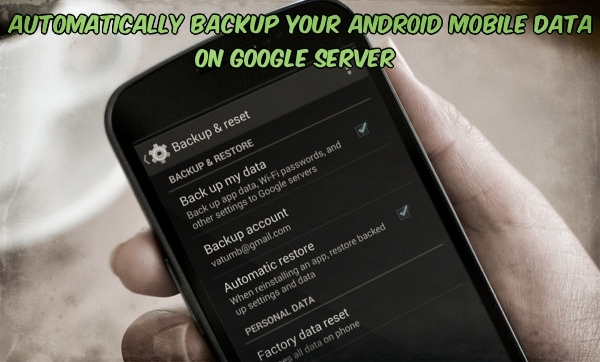 With this feature you can take the backup of your Android smartphone on Google Cloud. There are lots of other to take the backup of android smartphone. But with this Google feature you can backup all your Contacts, Email, and Calendars, Chrome Browser Data, Google Chat, System and App setting, Google+ Photos etc on Google Cloud. Taking backup on Google cloud is simple and it can be done with in some simple and easy steps. Once you enabled this feature on your device all your data will automatically save on the Google Serves. To get started all you need a Google username and password and after that you can select the data of your mobile to start the backup process on the Google Cloud. Once the settings are saved on your mobile, you don’t need to worry about losing your email, contacts, apps, or even saved Wi-Fi passwords. Let’s take a look how this feature works on the Android smartphones. 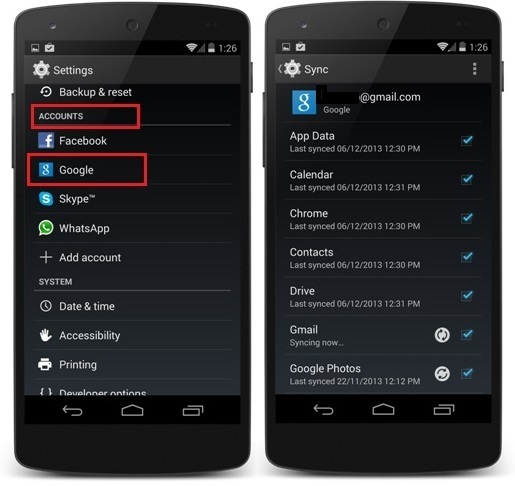 Follow the below mention steps to setup the Google Cloud backup on your Android account. 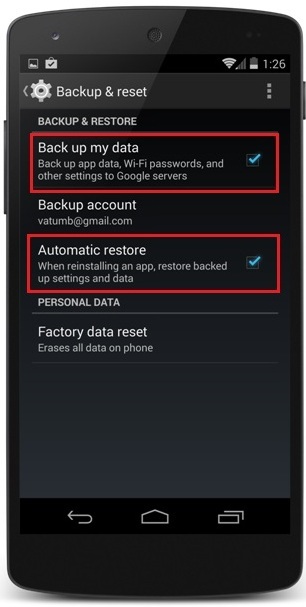 Now from the Backup and restore page tap on the “Back up my data” and “Automatic restore” options. To start the backup process on your android smartphone. 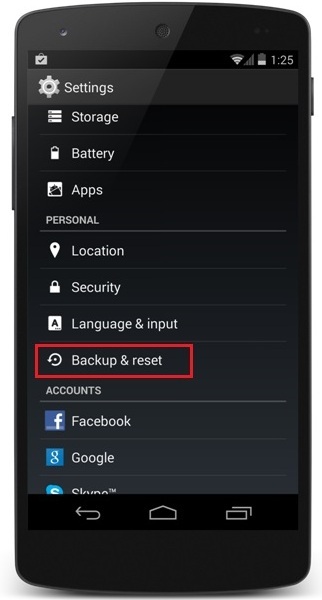 Once the backup settings are saved, Go back to Phone Setting > Account and Tap on Google Account. After that select the account you want to back up. If you are using more than two or more Google accounts then you have to switch around to make sure all your data stays safe. From here select all the Data which you want to backup on your Google Cloud account and after that hit Sync button to start the backup process. That’s it! You have successfully taken a backup of your account data on Google Cloud. From more Android tips and trick, Check out our Android section here! Your guide for backup is very useful. All your data are safely stored in the cloud, which can be accessed from any where. I have ASUS Phone Pad tablet with calling feature. How to set up wifi hot spot on this tablet? I want to connect with my Ainol tablet to transfer files and data.